For first time customers on orders above £100. We specialise in removal of stains, bad odour and dirt from rugs and carpets of any kind. We can clean any sofa and any upholstery to make them look as good as the day you got them. One of the dirtiest objects in any home due to it's 8 hour usage. We can extract all the dirt away. Dusty curtains will no longer be a problem, with our machines we'll clean them while hanging. We are Cleanest Carpets and we are the reputable and very reliable professional sanitation contractor that you have been hoping to come across. We operate throughout the whole area of Knightsbridge in Central London and offer premier quality services on fair prices, with a guarantee for excellent results. Our clients know they can trust us and all our solutions come highly recommended. Carpet cleaning – naturally we specialise in removal of stains, bad odour and dirt from rugs and carpets. By using the power of steam and efficient green detergents we will treat your carpets in the most efficient manner possible and even protect them from future damage. Prices for steam carpet cleaning start from just £22. Sofa and upholstery cleaning – do your favourite piece of furniture justice by letting our experts take care of them. Our sofa and upholstery cleaning solutions come highly recommended and will help you maintain your furniture in a prime condition at all times. From just £7. Mattress cleaning – the place where you lay your head at night should be healthy and hygienic one and we are here to help you achieve that. You spend most of your time at home in bed, so there is no place for allergens, dirt or god forbid mould in it. Our mattress cleaning service is just what you need, and prices start from just £16 for a single mattress. Hard floor cleaning – our cleaners will treat your wooden or stone floors in accordance to the materials they are made of and the degree of soiling they suffer. After we are done scrubbing the floors we can also refinish them for optimal results. For £2 per square metre. Curtain cleaning – thanks to the advanced methods and tools that we employ in our day to day operations we are now in a position to provide you with immediate results sanitising your drapes. We will not even have to hang them down from the window they are on. Prices start at £17. Jet Wash Cleaning – the outside of your home is just as important as the inside. Let us improve the curb appeal of the property by applying the powerful jet washing machines and methods we have acquired on your driveway, patio or deck. When we say that we are the best, we mean it. Get us work for you for £2 per square metre. We at Carpet Cleaning Knightsbridge are very responsible and work in an efficient manner. All members of our team are licensed cleaners who know the industry inside and out, top to bottom. They will work hard on figuring out the best way to get the job you have for them done and then actually doing it. Just call us and leave the rest to us. You can book a carpet cleaning service from our firm at any time of the day and night. Our friendly customer support will answer all your questions, give you a free quote and assist you with the booking process readily and without hesitation. Hiring us is easy and it can be a pretty pleasant experience as well. There are many good reasons for you to opt for our steam carpet cleaning solutions. Many of them are connected to your health. The hot steam is scientifically proven to effectively kill off bacteria, allergens and mites from deep in the fabrics of your carpets and rugs. Since no chemical products are involved in the process, you will avoid hazardous materials entering your household. 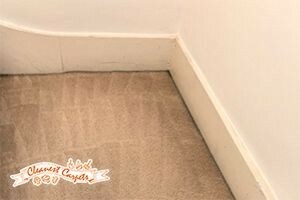 Since the carpets dry off almost immediately, you will not have to worry about the problem with damp and everything related to it. Even just those should be enough to demonstrate to you we are the best option you have. Find out many more good reasons by simply getting in touch with us. Our cleaners will treat your wooden or stone floors in accordance to the materials they are made of and the degree of soiling they suffer. After we are done scrubbing the floors we can also refinish them for optimal results. For £2 per square metre. The outside of your home is just as important as the inside. Let us improve the curb appeal of the property by applying the powerful jet washing machines and methods we have acquired on your driveway, patio or deck. When we say that we are the best, we mean it. Get us work for you for £2 per square metre.